I’m currently completing a book called The Startup Guide: Building a Better World Through Entrepreneurship. You can visit the book web site at http://www.startupguide.com to stay up to date as the book progresses and see some early content. 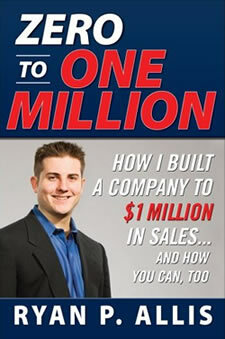 In February 2008 I published a book on entrepreneurship from McGraw-Hill called Zero to One MIllion. The book is on the topic of what I learned building iContact as a start-up from zero to 80 employees between 2003 and 2007. I’m now in process on a second book on making a difference in the world through entrepreneurship called The Startup Guide: Building a Better World Through Entrepreneurship. You can track the progress of the book at http://www.startupguide.com. The Startup Guide will cover the following topics. The immense opportunity our generation has to use technology and entrepreneurship to finally create a sustainable world in which every human being has access to food, water, shelter, education, medicine, and the internet. A summary of how the latest innovations in science and technology across neuroscience, nanotech, genomics, data science, visualization, robotics, education, and mobile computing are creating immense opportunities to address the biggest issues in the world faster than we thought possible. Human identity, potential, motivation, and consciousness. Here is the draft table of contents for the book. It is structured as a series of five guidebooks. What is the Innovation Age?